(2010) Axel Straschnoy, et al. The New Artist is a collaborative research project directed by STUDIO Fellow Axel Straschnoy, in collaboration with researchers and engineers from the CMU Robotics Institute at Carnegie Mellon University. The objective of this project is to create “purely robotic” art: namely, art done by robots, for robots. In “The New Artist”, there are two mutually interacting robots. One is a “performer”, which engages in a kind of hopping dance; the other is an “observer”, which responsively watches the performer. The observer uses artificial intelligence software to “judge” the aesthetics of the performer’s dance, while the performer attempts to ingratiate itself with its audience-robot by carefully monitoring the observer’s attitude and posture. 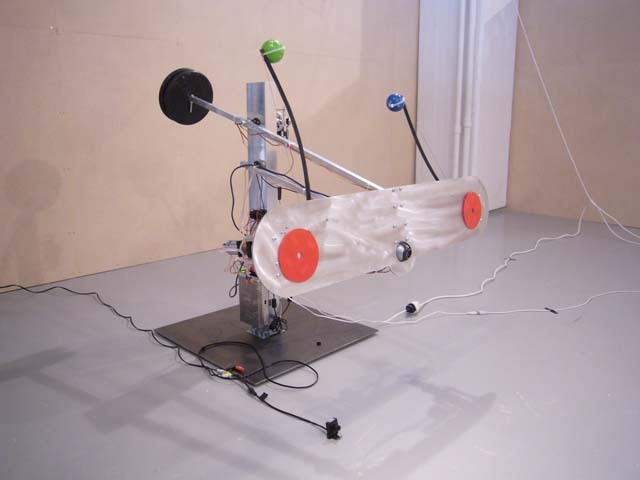 The New Artist – Robot Performance from Axel Straschnoy on Vimeo. The New Artist is a collaborative research project. 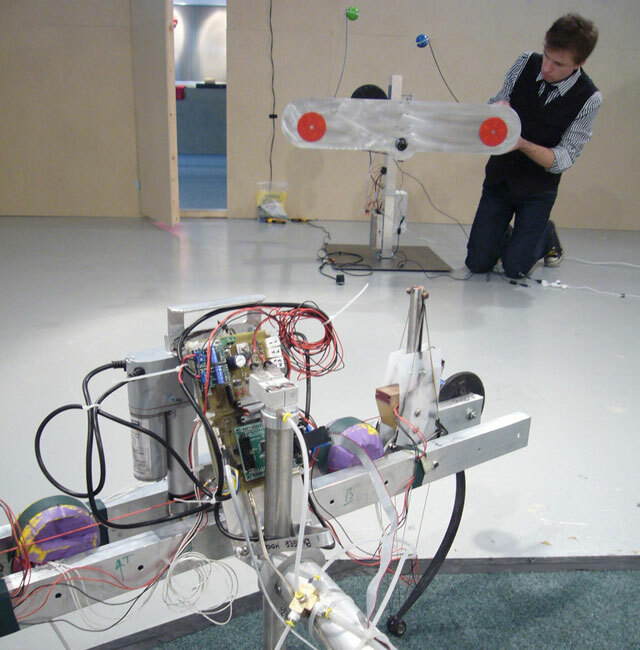 Its objective is to create purely robotic art, namely art done by robots for robots. 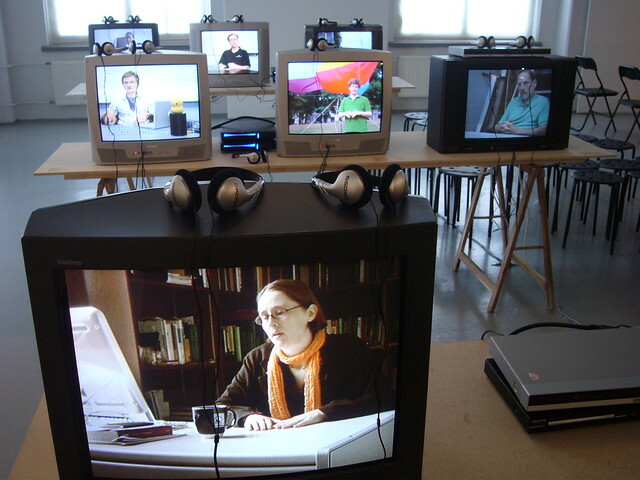 In September 2008, the Helsinki-based artist Axel Straschnoy traveled to the Robotics Institute at Carnegie Mellon University. He had been invited by Paul Scerri to study the possibility of building two robots: one that would be able to create performance art and another that would be able to watch the performance and appreciate it. From a month of discussions including robotocists, artists, neurobiologists, philosophers and theater directors a group composed of Ben Brown, Garth Zeglin, Geoff Gordon, Iheanyi Umez-Eronini, Marek Michalowski, Paul Scerri and Sue Ann Hong, and Axel Straschnoy emerged to design and build the robots. The New Artist is produced by Piritta Puhto and supported by the Alfred Kordelin Foundation and the University of Helsinki, Department of Computer Science. Full list of supporters.